Finally, I've come around to getting this done and posting it, this was long overdue. The rough draft was originally done in my sketchpad using pencil and colored pencils, then I decided to touch it up in SAI. So, there ya go. 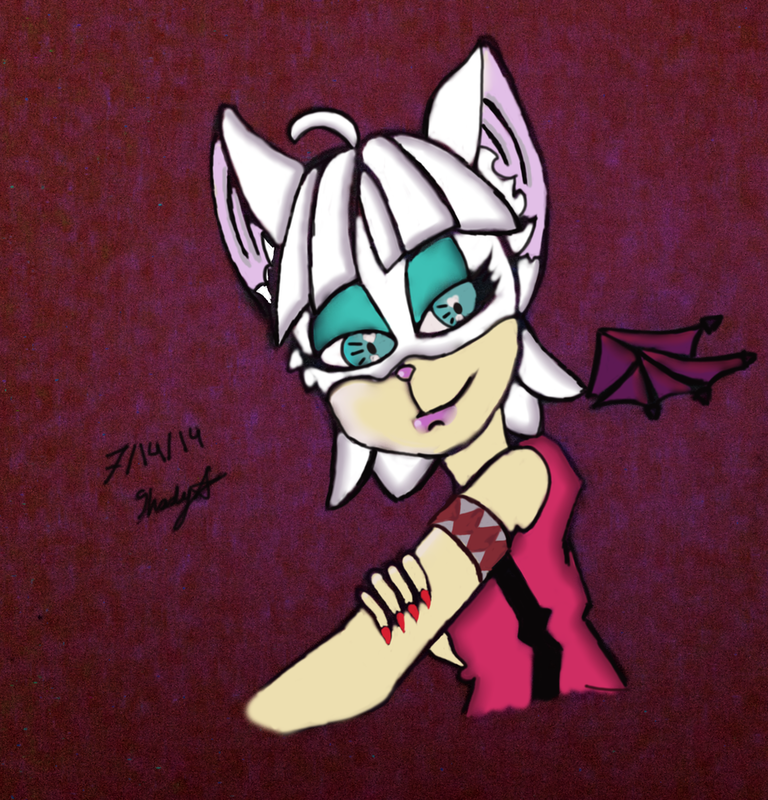 Here we have the Miss lovely Rouge, in my own personal style, which I absolutely adore!